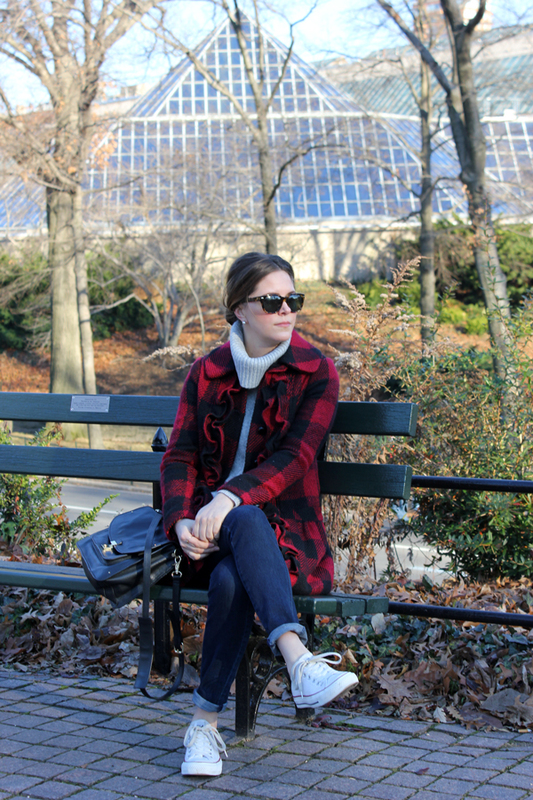 I think I bought this coat back in 2010 and then promptly forgot it existed. A coat such as this is not necessary in California and since I was living there at the time, I didn’t wear it. A few weeks ago when I was getting my winter coats out I was like “holy crap”. Like did I actually buy something and then keep it? Did this happen? Did I really buy a peplum coat years ago. I was so ahead of the trends. Ha. I know it’s a total jerk thing to post a coat that you cannot buy. Lucky for you, I’m not being a douche today. Below I’ve rounded up a few similar coats that I think would be just as awesome. I almost bought the J.Crew one and I’m sort of happy I didn’t because wouldn’t it be silly to have two coats that are basically the same? Of course it wouldn’t be! But I keep telling myself it would. Also, people, please head on over to the Pinched YouTube channel and peep today’s episode! Look at you! So ahead of the buffalo check trend. Love it. Buffalo check is my love. Some people think it’s only for guys, but they are so, so wrong. I keep telling myself I don’t need another coat, especially one in a very bold pattern. But I think I’m going to loose that discussion with myself! After Christmas sales here I come! Great coat! I might have to snag a buff check topper. 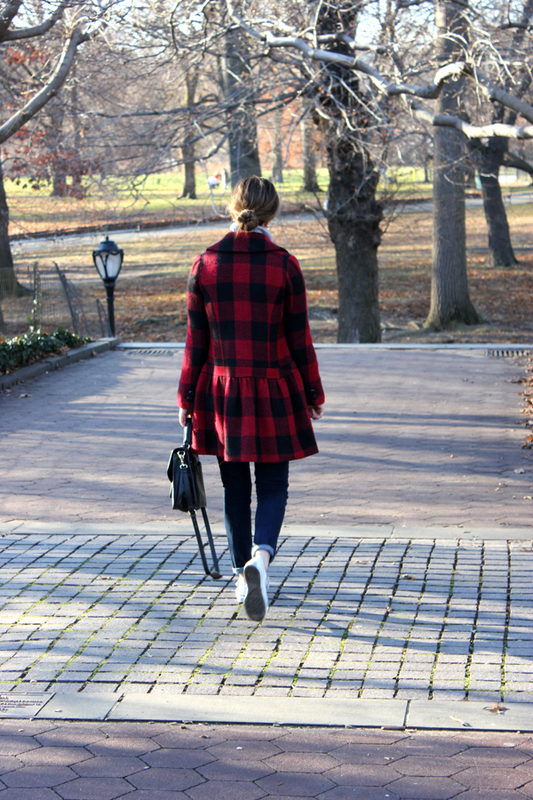 Adore this–I love buffalo check, especially in black and red. And the shape of this makes it really pretty and girlie! Not a complete lover of peplum, but I love this coat! you look great and i love this coat!